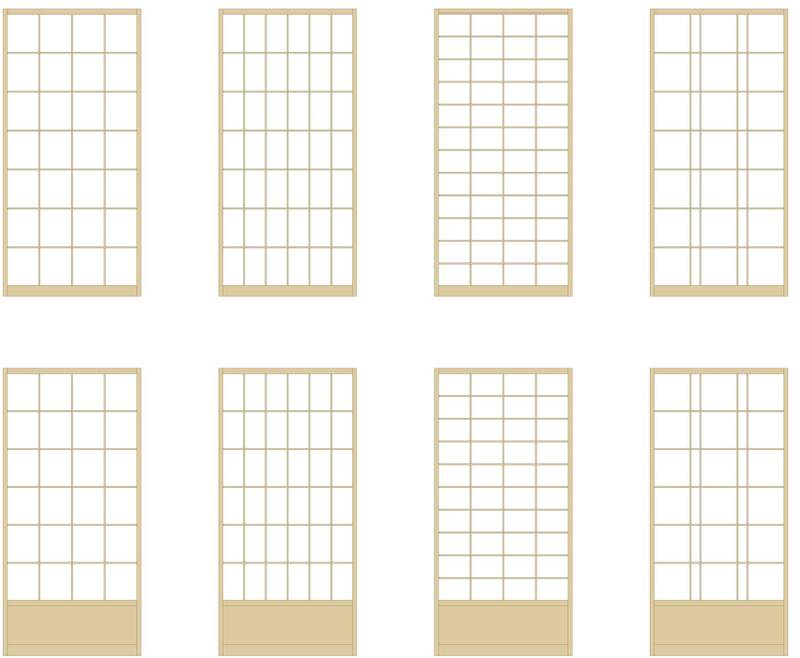 There is a huge variety of possibilities for shoji design and they can be used in many different and varied applications. We make both the traditional style shoji that runs in a wooden track and also the shoji that run on metal tracks. Shoji can be made with or without a kickboard in the bottom and can be made in almost any kind of wood including bamboo. Below are some examples of the different lattice layouts, the bottom set with kickboards and the top set without. The possibilities for lattices are almost endless.